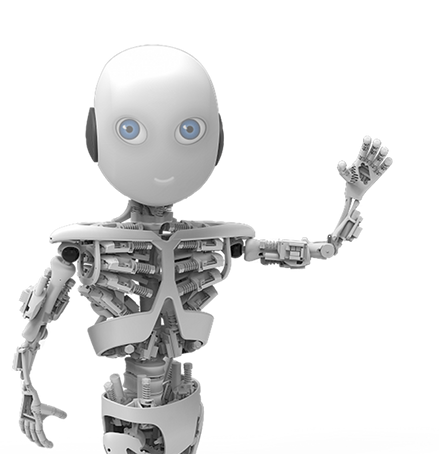 Meet Roboy, “one of the most advanced humanoid robots,” say researchers at the Artificial Intelligence Laboratory of the University of Zurich. Their 15 project partners and over 40 engineers and scientists are constructing Roboy as a tendon-driven robot modeled on human beings (robots usually have their motors in their joints, giving them that “robot” break-dance look), so it will move almost as elegantly as a human. Roboy will be a “service robot,” meaning it will execute services independently for the convenience of human beings, as in the movie Robot & Frank. And since service robots share their “living space” with people, user-friendliness and safety, above all, are of great importance, roboticists point out. Which is why “soft robotics” — soft to the touch, soft in their interaction, soft and natural in their movements — will be important, and Roboy will be covered with “soft skin,” making interacting with him safer and more pleasant. Service robots are already used in a wide variety of areas today, including for household chores, surveillance work and cleaning, and in hospitals and care homes. Our aging population is making it necessary to keep older people as autonomous as possible for as long as possible, which means caring for aged people is likely to be an important area for the deployment of service robots, roboticists say. To speed up the process, the AI Lab researchers set a goal to build Roboy in just 9 months (the project began five months ago). Roboy will be unveiled at the Robots on Tour March 8 and 9, 2013 in Zurich. To make this ambitious schedule possible, they decided to finance the first grassroots robotics project via crowdfunding. To participate, see Make Roboy your friend. You can also friend Roboy on Facebook. By announcing the birth of a humanoid baby robot, we are not implying any relationship to a current holiday and certain Futurama episodes — get that idea out of your head! BTW, Roboy just accepted my friend request. That’s not something you see every day. —- Ed.